The small business owners' simple guide to bookkeeping and taxes. My goal for this program is to provide entrepreneurs and small business owners with confidence and peace of mind with their business structure, bookkeeping, and taxes. If you own a business, you need to understand the ins-and-outs of your business financials. 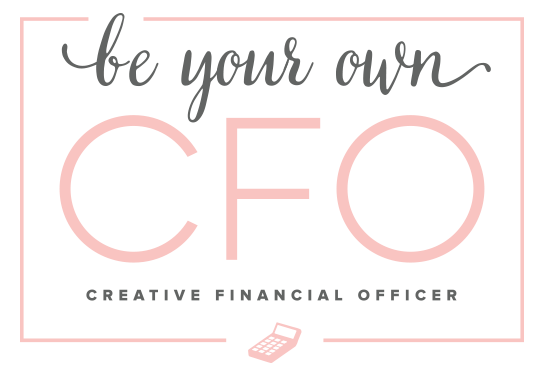 Be Your Own CFO makes this easy. Membership includes instructional videos, and beautiful, downloadable guides that will walk you through the topics in an easy-to-understand format with an actionable checklist. The lessons will be continuously expanded and updated based on member feedback. 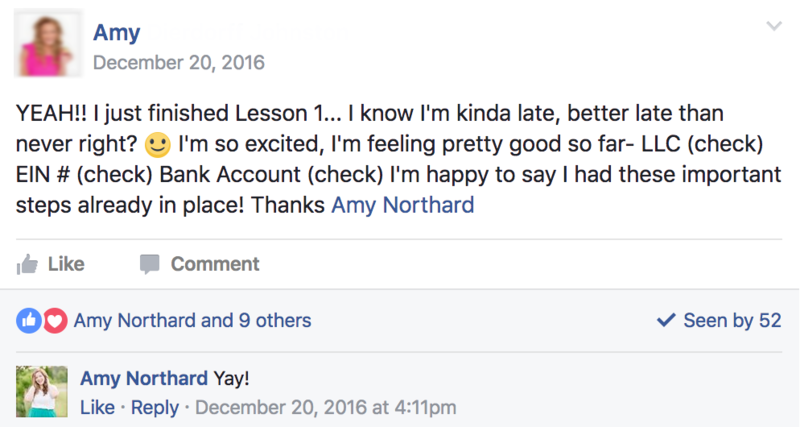 You will receive access to a Facebook group where you can ask questions to a CPA and small business owners like you. Save your receipt for this course. This course is an investment in your business. Tax deductions lower your taxable income, which puts more money in your pocket during tax season. This course covers tax deductions in lesson 5. I’m not your parent’s accountant. I work out of my home office, and I’m passionate about helping small business owners, like you. When you become a member, you will be treated with care during every step of the process. The Be Your Own CFO program includes access to a Certified Public Accountant and a membership site which includes short videos and beautiful, downloadable guides that will walk you through the main topics in each lesson. Each lesson will be released on a weekly basis to ensure that you don’t get overloaded with information, and you have time to review and ask questions before proceeding. Meet the CPA behind the course. Hey there! 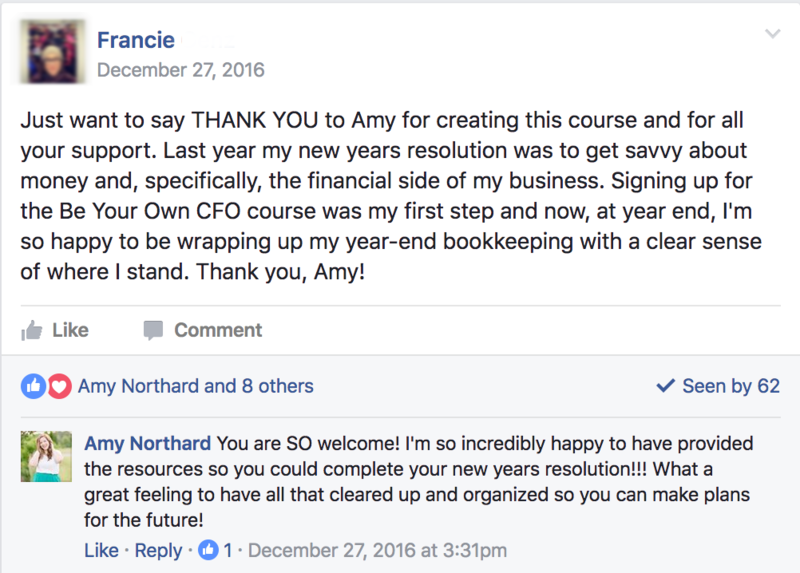 I’m Amy, a Certified Public Accountant who works with creative entrepreneurs to make taxes and bookkeeping less stressful. I started my own accounting business after a little bit of soul searching on how I would combine my accounting and tax knowledge with my love for entrepreneurship and pretty things. Since starting my business, I’ve talked with hundreds of small business owners about their questions as they are in the beginning stages of their businesses. I was constantly hearing “oh Amy, you’ve made this so simple!” and just knew I had to share this knowledge with as many people as possible. Feel confident about your small business bookkeeping and taxes.